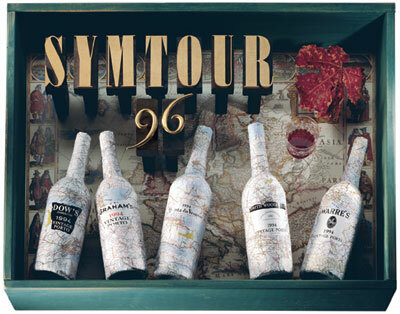 This photographic poster includes the five different port wines that were presented in five different US cities during the tour. Woodtype letters, US maps and an old map of Europe were used to combine traditional and contemporary references. 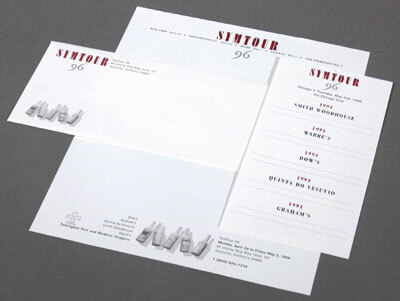 Stationery with elements from poster. The poster served as the basis for the stationery graphics. Poster for Symington Brothers, port and wine merchants. The poster was part of the identity for a wine tasting tour. The bottles are covered with maps of the states visited by the tour.